ZIMBABWE – Hold on, this is not about any diseases afflicting the physical person of Tendai Biti, an issue that does not concern us here, although this is subject to much unhealthy speculation. But Biti, the political person and leader of the newly-minted People’s Democratic Party, is a sick man. The first ailment he suffers from is what psychologists may term cognitive dissonance. The basic definitions of this kind of ailment say it is “mental stress” or “discomfort” experienced by an individual who holds two or more contradictory beliefs, ideas, or values at the same time. It is also suggested that this also occurs when one is confronted by new information that conflicts with existing beliefs, ideas, or values. Another definition suggests that cognitive dissonance occurs, “in situations where an individual’s behaviour conflicts with beliefs that are integral to his or her self-identity”. An important point to be made is that, according to experts, a person may alter their “attitudes, beliefs or behaviours to reduce the discomfort and restore balance”. This week saw once again the manifestation of cognitive dissonance in Tendai Biti when he upheld the findings of a national survey that found out that zanu-pf, the ruling party of President Mugabe is the country’s most popular outfit. Biti also dismissed his opposition counterparts on his way to projecting his vision for a united front against the formidable status quo. “We formed our party (PDP) so that we will have the last dance at a wedding. We are the fourth biggest party according to a survey conducted in June that also revealed that zanu-pf was at the top. These other political parties being formed don’t command a meaningful following. We want to join hands with other parties on the basis of value and principle,” he added. This, it will be noted and remembered, is not the first time that Biti has made such an admission that zanu-pf is the most popular party, indeed better than the opposition. In March last year, at Sapes Trust, he made that admission in an earth-shaking manner, so much of which incident has already been said in these pages. However, where convenient, and even after that admission at Sapes Trust, Tendai Biti pretends that zanu-pf is not the superior game and even comes up with sophistic and sometimes laughable claims just to tray and prove his point. This is where the troubled, sick soul of Biti reveals itself: Biti knows the truth about the strength and popularity of zanu-pf; the strength and cogency of its ideas such as Bhora Mugedhi and indigenisation to which he and other thinkers in the opposition do not have an answer. He, nevertheless, cannot bring himself to openly and constantly admit so. The thing is, Tendai Biti may secretly admire zanu-pf — and has he not been accused of smelling zanu-pf? — and there is no stronger manner in which a cognitively dissonant person could carry themselves. That is one aspect of Biti’s cognitive dissonance. The second involves altering “attitudes, beliefs or behaviours to reduce the discomfort and restore balance”. It may be argued that while Biti is not, and should not, be any happy to continuously tout zanu-pf as the dominant party in the country, he did this for selfish egoistical reasons. At Sapes, he wanted to justify why the opposition needed “renewal” (read leadership change in MDC-T) after the heavy defeat of July 2013. Today, he is endorsing MPOI because, having formed his own party, he needed validation and that validation came about in the form of MPOI telling the world that Biti’s young party is the FOURTH largest party in the country. This certainly feels good, doesn’t it? Biti, the egotistical one, would love that any day. As already noted, Biti is the leader of the People’s Democratic Party. The party was formed last month. 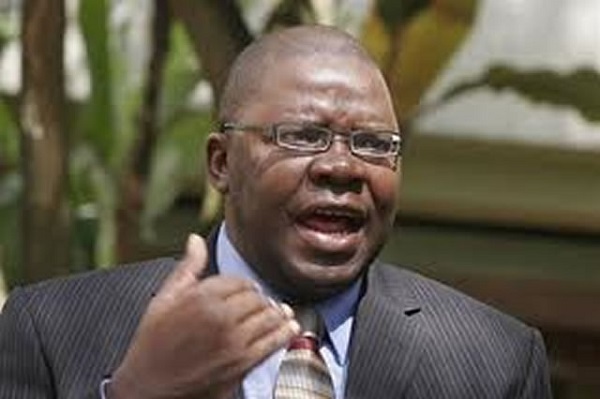 It is quite clear that it is a party that was born with inherent structural weaknesses that are inevitably Biti’s own. It reminds one of something called a congenital defect — a “physical anomaly that is deleterious, i.e, a structural defect perceived as a problem”. The anomaly is that PDP was founded on a position of weakness and does not seem to have confidence that it is any serious challenger in the body politic. It is content with being an underdog, which status it will try to use to forge a coalition of similarly small parties. Biti brags that his organisation is the fourth largest political party maybe because he knows that is the best he can achieve in his lifetime. Biti’s deputy Samuel Sipepa Nkomo in Bulawayo, made it categorical that his party is in the league of minnows. But it is Gorden Moyo, the PDP secretary general who more than anyone underscored how the party was afflicted by a congenital, structural defect. Writing recently in The Standard newspaper, Moyo said: “To demonstrate our commitment to coalitional approach, the constitution of PDP states that its president is not necessarily the presidential candidate in the national elections. So, the PDP sees itself inherently weak and its current leader weaker, to the extent that they are open to the leadership of anyone and anybody in time for a national election. And all this is enshrined in the constitution! It follows that, today, or any long as PDP and its current constitution exists, a leader who has an eye on elections may just wake up booted out and replaced with somebody else without any ceremony because the constitution of the party allows it. Can such a party be stable and strong? The fact that the Biti breakaway band detests the idea of “Big Man” politics does not justify planting an inherent weakness in an organisation. Simple checks and balances, and indeed constitutionalism, would do the task and tamper any excesses. From the foregoing one can surmise that there is going to be a lot of trouble ahead of PDP. And all this stems from Tendai Biti’s ailments as a politician.